Inherently, we entrepreneurs are an optimistic bunch. We paint visions of success in our minds and we set exuberant goals to get there. Sometimes things go wrong and we write them off as bad luck. But how many times do we stop to wonder whether or not we could’ve changed the course of events? Yesterday morning I received an invitation to a great networking event that offered me the opportunity to meet motivated, like-minded individuals. Immediately, my mind started wondering if this event would be worth attending. We’ve all been in similar situations when we have opportunities like this presented to us. First you see an event invite, and suddenly your mind comes up with reason after reason as to why you shouldn’t attend. Scheduling conflicts, time constraints, and other rationalizations, whether true or untrue, begin to plague your mind. Inevitably, we’ve all had a point where we were unsure of whether or not putting ourselves out there would be beneficial. As the minutes go by, you think you are convincing yourself out of attending, but the truth is that the decision has been long made. Our subconscious minds are fascinating tools that can help fuel our success or catalyze our failure. As soon as we take in information, our subconscious brain begins forming an opinion on it, a once integral asset in the land of hunters and gatherers. Today, the value of such instant interpretation can not only be a significant disadvantage, but it can actually hurt you in the long run. By subconsciously deciding that you didn’t want to attend the event, you’ve set your brain out on a mission to rationalize this decision. As you make decision after decision, your subconscious begins forming your conscious rationale while creating a feedback loop, and the process continues. Soon, more and more events seem unappealing, but the reasons for their lack of appeal are always very compelling. Turning down this one event may seem trivial at first, but this event could have served as a catalyst for meeting your next cofounder, meeting a great friend, or finally linking up with the client you’ve been seeking to reach. Looking back, some of the best people I know today I met by taking a leap and attending an event that seemed just that much out of my way. In the same fashion, turning down this event means closing the door to serendipity. Whether you realize it or not, this event was a tinge of luck handed to you on a silver platter. Events like these are the perfect breeding ground for serendipity, leading to unexpected encounters and introductions that can propel you further down the path to success. Many people get hung up on ideas of being lucky, having luck, or the lack thereof. Unfortunately, these thoughts provide no value to you in the long run. If you wish to succeed, you should be doing everything in your favor to position yourself in situations where you can “get lucky.” Luck can never be forced, but it can be gently coerced. The best thing about luck is that it is ultimately in the eyes of the beholder. Whether you believe that you are inherently lucky, or inherently unlucky, you are inevitably right. Take a minute to process and internalize the previous sentence — it extends to many perceptions you have outside of luck. Almost every event in your life that you consider yourself to have been lucky or unlucky in can be framed to reflect both points of views. As you go down the path of defining your life events as unlucky, you create a negative feedback loop for your subconscious mind, and you slowly convince yourself that you are truly unlucky. On the contrary, if you go out of your way to frame events in your life in a positive way, you begin to notice how lucky you truly are. As the positive feedback loop continues, you notice small details in your day-to-day life that confirm your belief that you are lucky, and it begins to extend to every aspect of your life. You choose to attend events like these because you are predisposed to being lucky, a mindset you’ve accumulated over time by perceiving your luck in a positive light. By screening events in a positive bias, you predispose yourself to not only being lucky, but to being successful in what you do. Of course, success cannot be guaranteed just because you view your luck through a positive lens, but you can ensure that you are taking full advantage of the opportunities that you come across. The great thing about luck is that it can actually begin to compound once you are on the right path. Once you internalize that you are indeed lucky, great things that you once thought were impossible begin to unfold in your life. Slowly, this effect begins to build on itself as more and more positive events begin to occur in your life. Whether you met your company’s next investor at an event because you had the courage to approach a panelist to ask him or her a question in front of a crowd of 200 people, or you met your next co-founder by cracking a joke at the beverage table, you are compounding your luck. 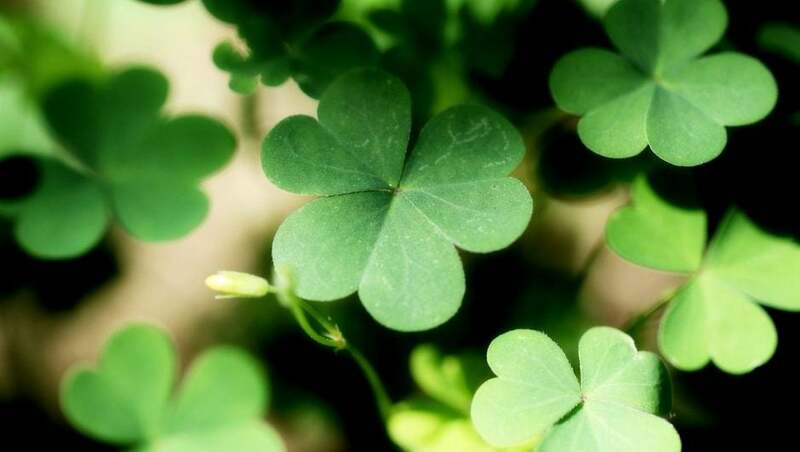 A tinge of good luck can multiply exponentially if it is valuable to everyone involved. Internalize the concept of luck perception. Begin to notice and appreciate the small drops of luck you experience on a daily basis. Put yourself out there into situations which promote the occurrence of luck, such as events that are relevant to your interests composed of like-minded people. Co-Founder @ JUICE. Former Director of Growth @HiCommon. Graduate of @Draper_U.